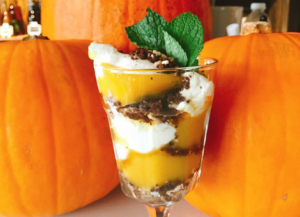 Blog » Pumpkin Power Knickerbocker Glory! …at least in my experience any way! Pumpkins are actually very versatile in their uses for cooking – I however have no idea where to start, especially when it comes to encouraging the kids to eat it. 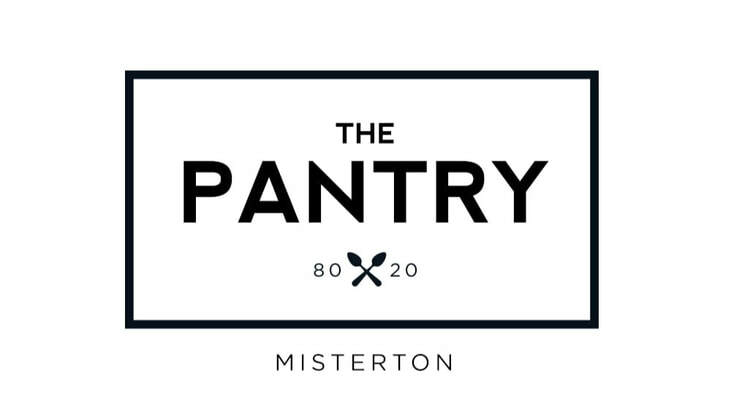 I asked local food writer & owner of The Pantry 8020 in Misterton, if she had any sneaky recipes to incite the kids in to eating this delicious winter squash. Well practised in the art of making healthy things appeal to mini mumblers, here is The Pantry’s fabulous Pumpkin Power Knickerbocker glory! Cut your pumpkin in half and place face down on a baking tray in 1/4 inch of water. Bake at 175 degrees for 1 hour. When cooled, scoop out the now soft pumpkin flesh and blend with honey to taste using a blender. To make the Cacao Rubble…Blitz the dates and the almonds/cashews until broken up and mixed together in a food processor or chop finely and mix together. When you have the right texture add a tablespoon of honey, a tablespoon of cacao and give another few pulses so it combines. Layer the Cacao Rubble and the Pumpkin Puree with yoghurt Knickerbocker Glory Style! The British Pumpkin season runs from October to December (see where to go and pick one in Doncaster here) and if you’re choosing a pumpkin to cook with, the smaller pumpkins tend to have more flesh. 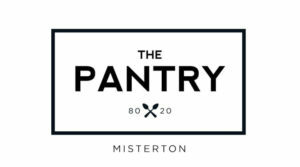 If you fancy a healthy lunch with your mini mumblers over the half term holiday, why not head to The Pantry 8020. Whether it is lunch you’re after or a coffee and cake, you’re spoilt for choice and it’s pretty much guilt free! From the Gluten free sausage sandwich, to their Build your own Burger’s, they only use the freshest ingredients. Choose from their delicious treats such as Peanut Butter Oreos or Chocolate Orange Cheesecake to finish off too! Give the Pumpkin Power Knickerbocker glory a try and share your photos with other parents on the Doncaster Mumbler Chat Group!